An American Mixed Martial Arts(MMA) fighter who competes in the Heavyweight division of Bellator MMA, Roy Nelson has the net worth which is estimated to be $500,000. He is also the former IFL Heavyweight Champion who is competing under Ken Shamrock and the Lion's Den. Do You Want To Know How Did Roy Nelson Build His Net Worth Up To $500,000? The mixed martial artist who is regarded as having a big chin, Roy Nelson has the net worth of $500,000. In 2009, he earned $16,000 from The Ultimate Fighter: Heavyweights Finale. Then in 2010, he earned $15,000 from UFC 117. In 2011, his income from UFC 130 was $15,000 and UFC 137 was $40,000. Likewise in year 2012, he earned $20,000 from UFC 143, $40,000 from UFC 146, and $48,000 from The Ultimate Fighter 16 Finale. In 2013, he earned $113,000 from UFC 159, $24,000 from UFC 161, and $24,000 from UFC 166. Then in the year 2014, he earned $98,000 from UFC Fight Night: Nogueira vs Nelson. It can be seen that Roy's main source of income is all MMA. There is no more information given about his assets. In 2002, Roy Nelson played rugby for the Las Vegas Blackjacks. He played rugby there for two seasons. Then in 2004, Roy made his professional MMA debut. In 2007, Roy signed a contract with IFL. In his debut match at IFL: Oakland, Roy won via TKO in the first round against Vince Lucero. Roy became the Heavyweight Champion in 2007 World Grand Prix after defeating Antoine Jaoude. Roy then joined The UFC.He won against Kimbo Slice via TKO in his first match. In the quarterfinal match, Roy won against Justin Wren by decision. In the semi-final, he won against James McSweeney. Then he won against Brendan Schaub to become the winner of The Ultimate Fighter: Heavyweights. In 2010, Roy won against Stefan Struve after just 39 seconds in the first round in The Ultimate Fighter Finale. Then Roy was scheduled against Junior dos Santos where Roy lost by unanimous decision and dos Santos became the #1 contender in the UFC Heavy Weight Championship. On May 8, 2011, Roy faced Frank Mir at UFC 130 and he lost by unanimous decision. On October 29, 2011, Roy won by TKO against Mirko Cro Cop. On February 4, 2012, Roy lost the match against Fabricio Werdum by unanimous decision.Then on November 15, 2012, Roy won the fight against Matt Mitrione at TUF 16 Finale. On April 27, 2013, Roy won the fight against Cheick Kongo. On June 15, 2013, Roy lost the fight against Stipe Miocic by unanimous decision.Then on October 19, 2013, Roy lost the fight against Daniel Cormier by unanimous decision. Entering 2014 on April 11, Roy won the fight against Antonio Rodrigo Nogueira at UFC Fight Night 39.Then on September 20, 2014, Roy lost the fight against Mark Hunt at UFC Fight Night 52. 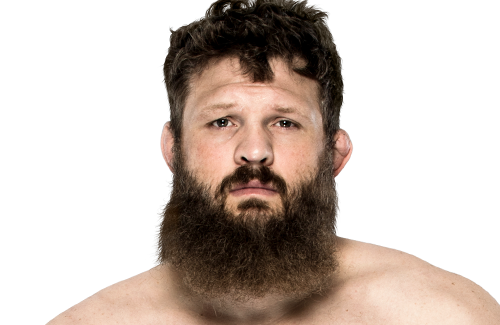 Roy Nelson, born on June 20, 1976, in Las Vegas, Nevada and he went to Cimarron-Memorial High School. He used to train since 16 years old. In 1999, he worked in a warehouse for some time. Then in 2000, he began training with John Lewis in Brazilian jiu-jitsu. In MMA, he played a total of 37 matches in which he managed to win 23 of them, out of which he won 14 fights by knockout, 5 fights by submission, and 4 fights by decision. Roy Nelson holds Black Belt in Brazilian jiu-jitsu and Black Sash in Kung Fu. In 2009, Roy Nelson married to Jess Nelson.They have one child together. 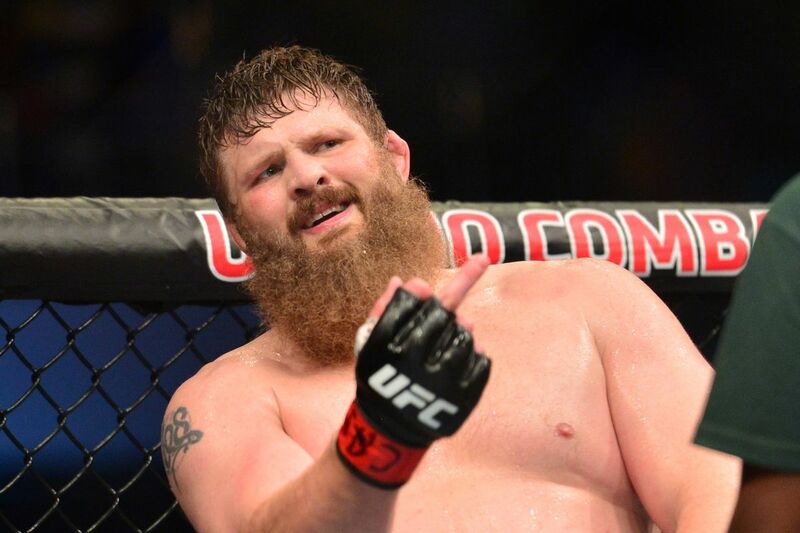 How Much Is Roy Nelson Popular on Social Media? It seems that Roy Nelson is active in social media. He has got 534k followers and 176 following on Twitter with a total of 14.6k Tweets and 26 Likes. Roy also has got 163k followers and 125 following on Instagram with 468 posts.